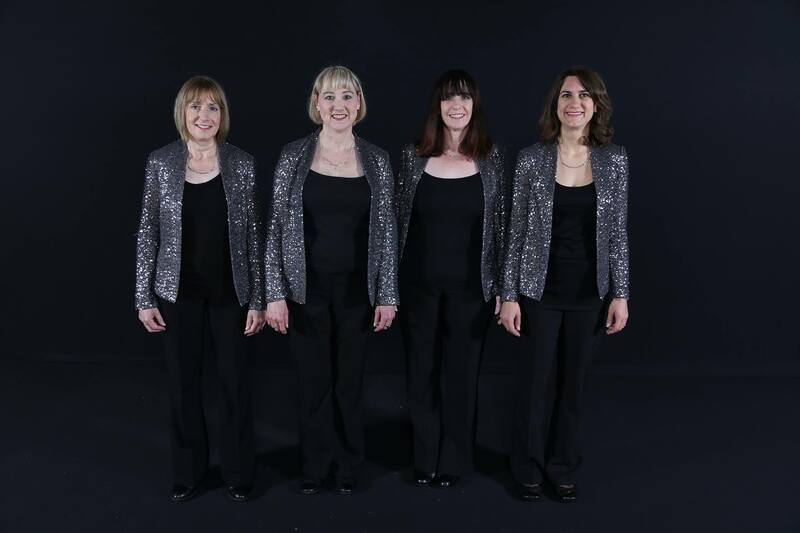 The Songsmiths comprise of Noey, Sophie, Sue and Nicky. Noey and Nicky are twins and Sophie the baritone is the mother of twins. Why are they called the Songsmiths? They were all born with and married into the surname of Smith. BS4 Quartet consist of Sue on Tenor, Mary on Lead, Noey on Bari and David on Bass. We sing a wide variety of music from many different eras. We have competed successfully at the Ladies Association Of Barbershop (LABBS) in 2014 & 2015 in the mixed quartet finals. We are all singers in Extreme Quartets (BABS) and UK Harmony Brigade.